Livestock producers have long benefitted from advanced biology, through selective breeding for superior or desirable traits, and through technology such as artificial insemination. Gene editing, however, is considered next level. Robert Wager, a biochemist and molecular biology faculty member at Vancouver Island University in Nanaimo, B.C., says gene editing will make the 2000s the biology century based on advances already seen by the industry. Some of the highest profile, practical research for gene editing in livestock comes from the United States, involving genetically hornless cattle. There, researcher Dan Carlson, whose father was a livestock producer and struggled practically and ethically with dehorning, successfully edited out the gene that causes dairy cows to grow horns. Carlson’s effort produced two cows, one of which went on to produce six horn-free calves. The technology has been widely lauded for its animal welfare implications. Hornless dairy cattle efforts now have a distinctly Canadian angle. 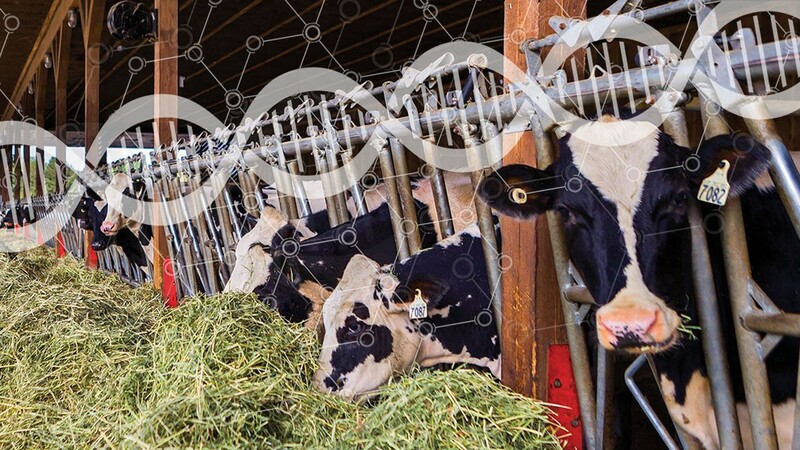 In May, Semex announced a new partnership with Recombinetics, a U.S. company dedicated to producing gene-edited animals for biomedical and food production purposes, to implement a precision breeding program to develop hornless dairy cattle genetics. As Recombinetics notes, dairy farmers prefer hornless (polled) cattle. But traditional breeding for this trait, more commonly found in certain breeds of beef cattle, is inefficient and reduces productivity. The alliance’s objective is to seamlessly integrate the polled trait into high-merit dairy genetics through precision breeding. Gene editing to produce hornless dairy cattle has been praised for its animal welfare implications. Are we ready? Last summer, researchers at an animal science institute in Beijing, China, produced a hog with resistance to PRRS, porcine reproductive and respiratory syndrome, one of the industry’s most challenging diseases. University of Guelph biotechnologist Julang Li and her research team were involved in the cellular research that produced the hog. She says the key was to edit a single protein receptor on the cell surface, through which the PRRS virus enters a cell and goes on to wreak havoc. Editing that receptor closes the door to the virus and denies it entry to the cell. In that way, infection is prevented. In some cases, researchers also try to develop a vaccine against a virus. But ultimately, the virus will mutate to escape from the vaccine, and it will no longer be effective. This is not the case with the PRRS gene editing – the virus never gets a chance to do harm. Gene editing in livestock could take selective breeding to the next level. Progress in disease control, such as preventing the PRRS virus in hogs, and producing genetically hornless dairy cows are recent advancements with practical future uses.